The Highland Avenue bridge has been completely closed off for the foreseeable future … so please plan or alter routes accordingly. No vehicular OR pedestrian thru-traffic between Mission and Arlington at this time. 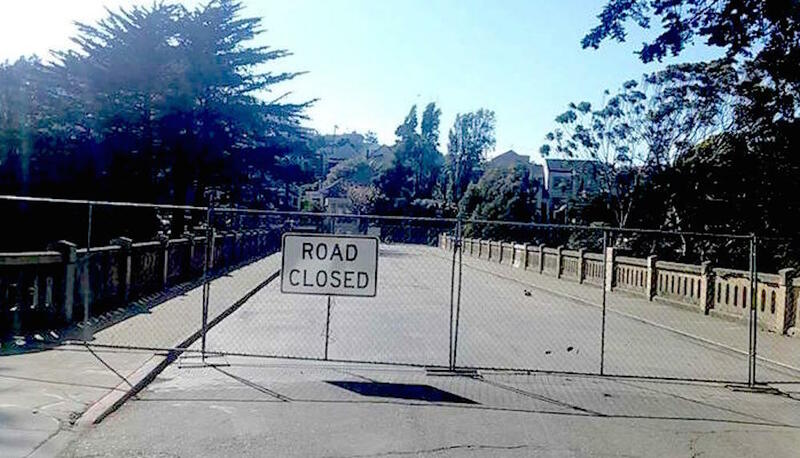 The Bernal Cut Path, of course, remains open, and you can cross Highland, you just can’t get to Arlington. Should be a nice little nightmare for those of us in the immediate area! 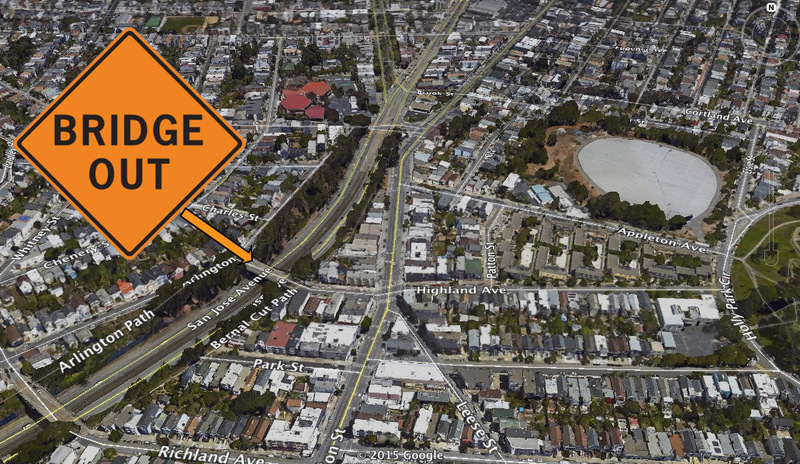 If the infrastructure gods look favorably upon the project, the Highland Bridge should reopen toward the end of the year, at which point the Citizens of Bernalwood look forward to renewing our ties with our ancestral kin from Glen-Bernal. ← Remember When Bernal Hill Was Naked and Treeless?